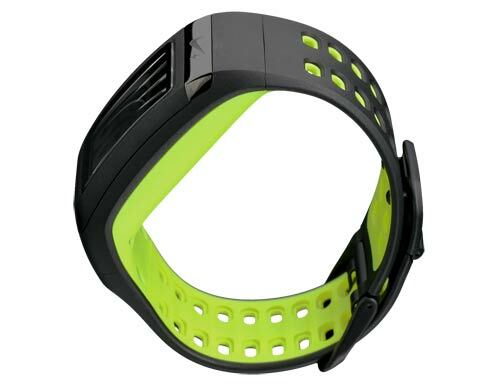 Tracks your time, distance, pace, heart rate and calories burned (view larger). 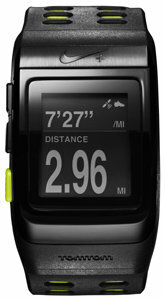 Personalize the data that you want to see during your run (view larger). Battery life: 8 hours of run time with GPS and sensor turned on. Standby for up to 50 days (view larger). 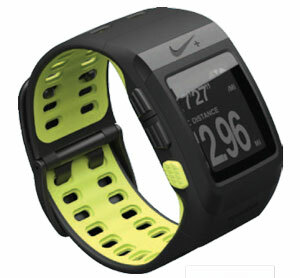 2 Responses to "Nike+ SportWatch GPS Powered by TomTom (Black/Volt)"